The date is 23rd February 2019, and it’s Danny and Andy’s turn to tie the knot. Whilst many were cosied up in their homes on Christmas day, Danny and Andy were in a hostel in North Yorkshire about to prepare Christmas dinner for 36 members of their charity, OutdoorLads. When Andy asked Danny to open some presents, Danny was completely oblivious to what Andy had in store for him and was more concerned about the parsnips than pressies. However, it didn’t take much convincing, and very soon the pair were excitedly unwrapping paper. With a jump of joy, Danny said YES! And what was undoubtedly the best Christmas they both had ever experienced, continued in joyful celebrations with 36 of their beloved charity patrons. 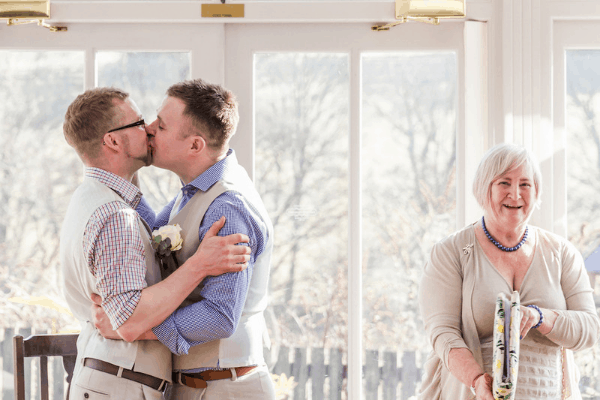 Both absolute lovers of nature, Danny and Andy knew immediately they wanted a countryside wedding, and being keen walkers, were even more set on a stunning vista of hills and lakes as their backdrop. And so, they set their sights on the delights of a hotel in the Lake District. 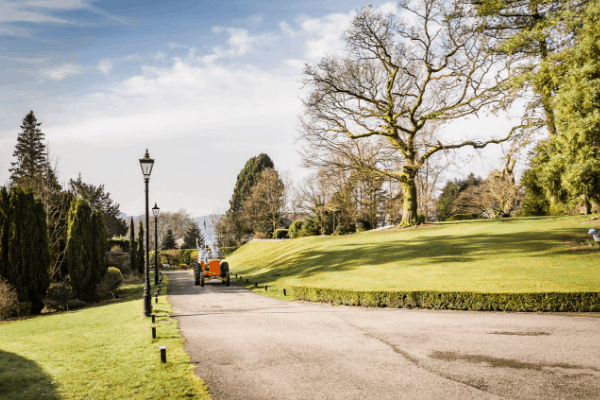 Exclusive venue use and a truly classy, country English garden feel was their top priority, so after visiting 4 other venues, they arrived at Broadoaks Country House perched stunningly on the edge of Windermere. 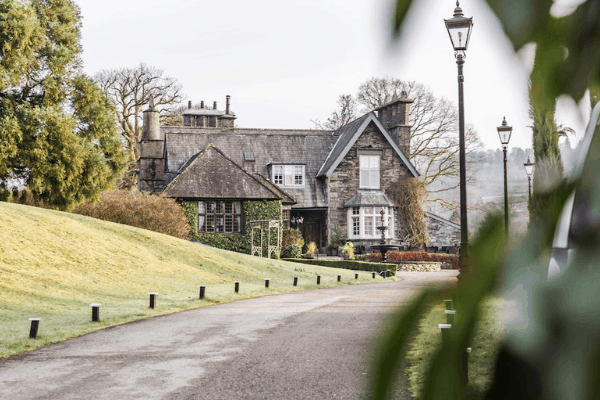 Knowing it was touted as one of the best gay wedding venues in the Lakes, they knew to trust their first impressions and entrust Broadoaks with the most important day of their lives. 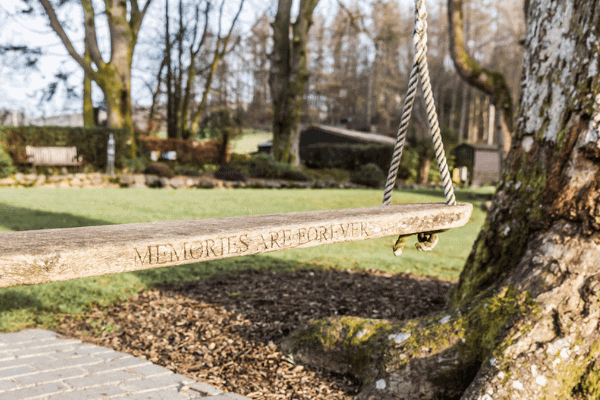 Opting for the Winter Wonderland package, the couple worked closely with the staff to ensure every single bit of their day was on brand, in particular, that their love of the outdoors was apparent inside and out. 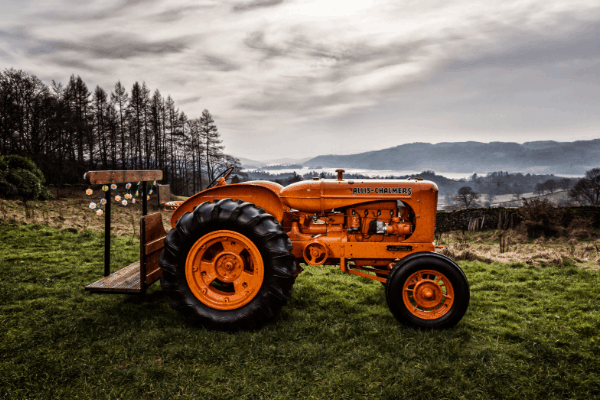 One of the key features of the day was to include their family’s rather vintage and sensationally sentimental 1940s tractor, which was the start of many wonderful touches to come. 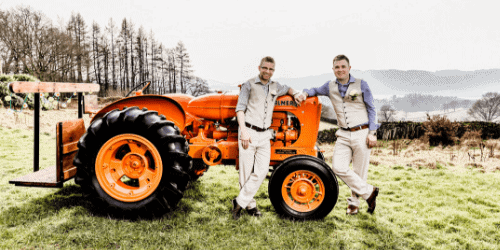 The tractor, which has its own fascinating story to tell, was pivotal to the couple’s family-orientated celebration, as it was the very same tractor Andy’s Dad sold to pay to for his wedding to Andy’s Mum, Shirley. As the ultimate surprise, Andy’s brother tracked down the tractor, bought it back and presented it to their Dad on his 60th birthday. A truly stunning example of family values and love, which couldn’t epitomise Andy and Danny more. And so, on the what should have been a wet and windy day of 23rd February, the morning alarm went off, and the pair individually awoke to glorious sunshine and a cloudless sky. Their big day had finally arrived. As their guests assembled, the couple prepared for their grand (and rather noisy!) entrance. 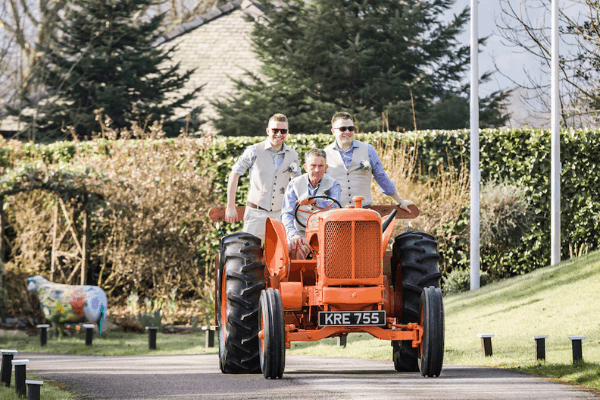 As the sun shone, they hopped onto Andy’s Dad’s tractor, and with Andy’s dad at the wheel, preceded to chug chug chug right up to Broadoaks Country House main entrance. 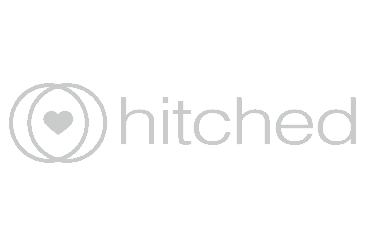 Their guests applauded and cheered, and it was easy to see it was to be a wedding to be remembered. 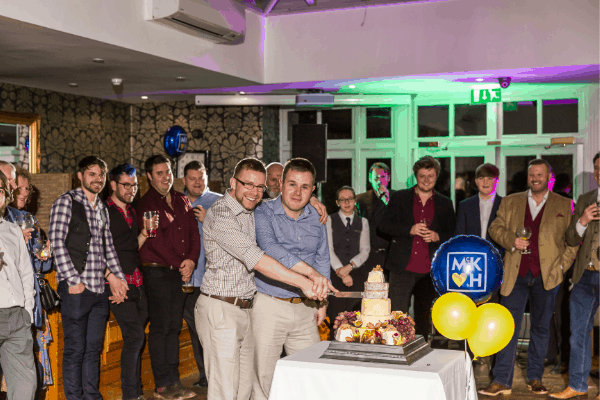 After the humanist wedding ceremony, the surprises kept on coming, as the guests were wowed by the couple’s humorous touches of characterful décor in blue and yellow, including a cake made of cheese, (scrubbed up!) 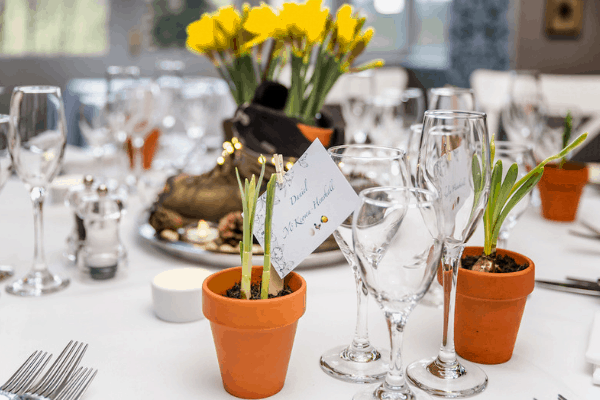 walking boots with cut daffodils supplied by Valerie Anns in Windermere, and cute flower favours to boot! 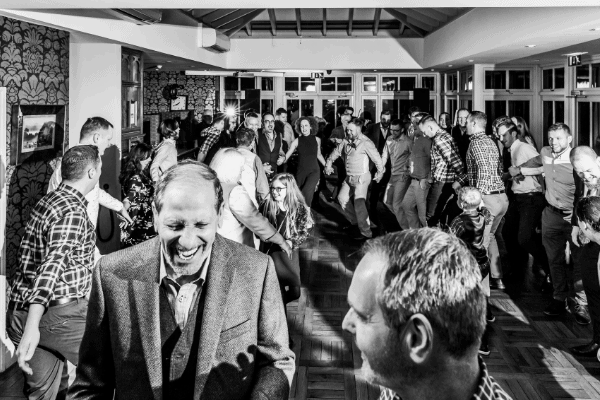 After a ravishing 3-course meal, the fun continued well into the night, as the evening came alive with Scottish Ceilidh dancing from Triple Scotch Ceilidh Band, and brought their guests young and old, British and American, together in one fine dancing scene. 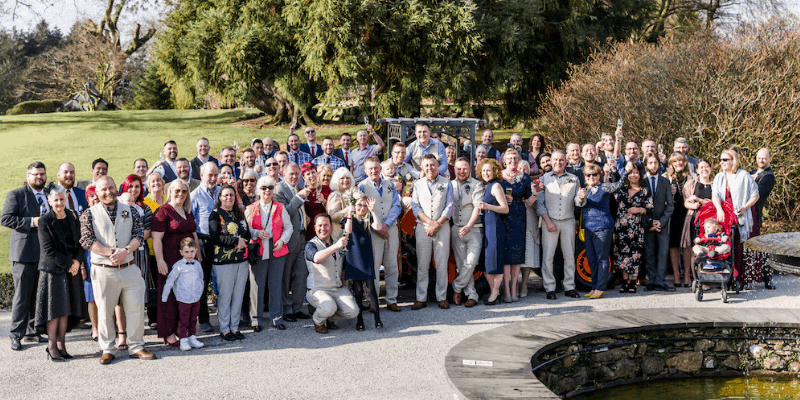 Broadoaks Country House has been the No1 gay wedding venue in Cumbria for Civil Partnerships’ and weddings for the last 4 years. 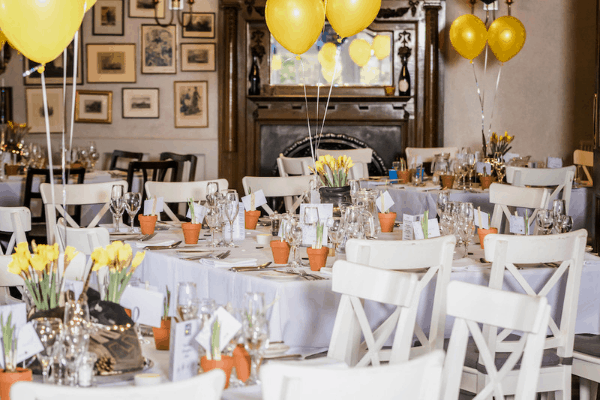 Exclusive hire packages including hire of the entire main house, its 16 rooms for up to 32 guests with food and drink included start from only £2,995. 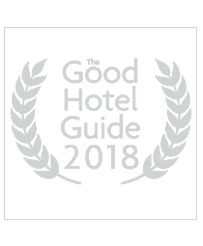 Download the wedding packages brochure now or get in touch with the wedding planning team by calling 015394 45566.